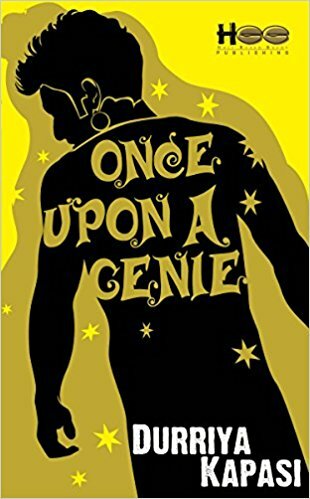 Once upon a genie by Durriya Kapasi review. – The bookish tales. Once upon a genie by Durriya Kapasi review. I thank the Author for providing me a signed review copy. Once upon a genie is the story of Daisy, who lives with her grandmother after her parents split up. While on her deathbed, her grandmother leaves a note for her. To her utter surprise, Daisy finds out that its actually a genie!! The genie grants her three wishes and the rest of the story is about Daisy and the genie and how Daisy ends up tackling her problems in life. I loved the book because of the unusual concept. When I read the blurb, I was very excited to read it. The relationship between Daisy and the genie, Khalil is so beautiful! Kudos to the Author for coming up with such a unique concept and weaving an adorable and “bewitching” story out of it. Until this book, the only genie I had read about was Alladin’s genie. It was very different from the usual love stories that we read these days. I love magical stories and “Once upon a genie” didn’t disappoint me. Go read it guys! Very refreshing story. The tree with a thousand apples by Sanchit Gupta review.